You’ve created a new task. You’re all set when suddenly it dawns on you that you’ve created it in the wrong project and need to move it to another. You start to breathe easy as you realise that Easynote have probably already thought of this……that has brought you here. 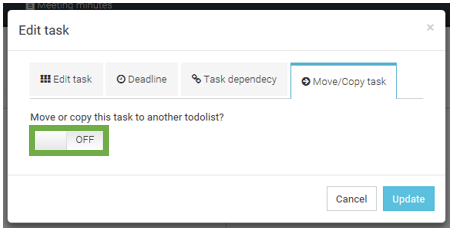 So How do I move task to another project on Easynote? 7. Select the Move button followed by selecting the project you wish to move it to from the drop down list. And now you’re set and ready to take on the world again. Go forth Easynoter and take pride in your work and get organised! To learn more how to work with task on Easynote click here. What Happens When I Complete a Task? 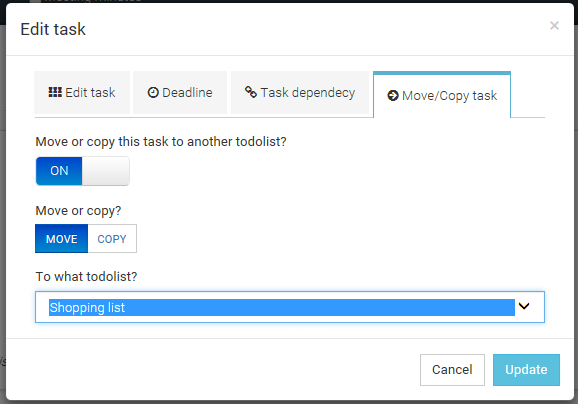 Easynote is a free task manager and project management tool created with simplicity in mind. 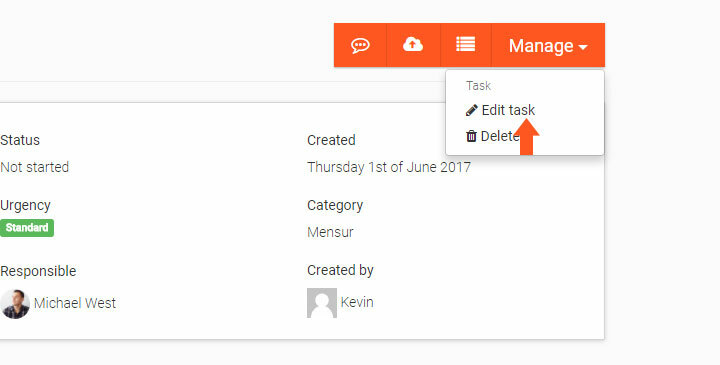 Tens of thousands of users are using Easynote as their primary task manager and it's trusted by many enterprise companies. Our users really enjoy using Easynote and we really like to listen to our users and we are taking time to listen to the user feedback and make improvements. We also like to keep things simple and that is why Easynote is so popular among our users and this can be shown both on Capterra and Trustpilot. We hope that we provided with quick and good information on our knowledgebase. If you have any further questions regarding Easynote and its content, feel free to try out our helpdesk. If you couldn't find the answer that you were searching for, please contact us at support at easynote dot io and we will answer as fast as we can! © Copyright Made Soluitions International. Easynote is owned by Made Solutions International. All rights reserved.